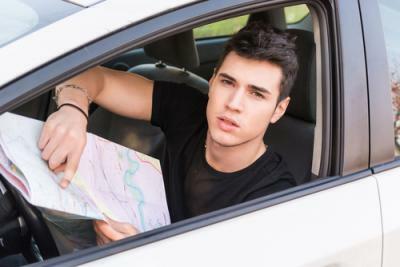 There is the time-worn joke about men refusing to ask for directions or help, even when hopelessly lost. It turns out that studies find men really are judged to be weaker if they ask for help, although women are not similarly penalized. Consider a recent study by Duke University that surveyed 144 business students on their perception of trip leaders on a series of adventure trips. Across the board, male trip leaders were judged as less competent if they asked for assistance or for directions, whereas women who asked for help or for directions were judged no differently on their competence level. Similarly, banks looking for direction in terms of what mobile features to add to their product set in order to meet the changing demands of customers, don't know who to ask. Community banks are mostly letting the big banks do the ground work in developing and determining which apps are most important and then quickly emulating the best ones. For its part, Finovate maintains a ranking of the top-100 financial phone apps as a way to gauge their acceptance and usage. Citibank's Mobile Lite app, as well as the standard Citi banking app, for instance are tracked on the list. The Mobile Lite was originally designed for the Apple Watch (it also works on smartphones) and it allows a user to see banking transactions and track balances. The app is different from Citi's core mobile banking app in that it has no transactional functionality, but the biggest differentiator is that it remains logged in indefinitely. Granted, remembering passwords and logging in on a smartphone is hassle enough and most certainly would be a process on a watch. Nonetheless, in these times of heightened security concerns, having financial information available to anyone who picks up a mobile device left in a coffee shop tends to be going the opposite from the logical direction. What do the Finovate rankings say about acceptance of the idea? Mobile Lite reached #31 shortly after its release at the end of March, but has since fallen to #90. On the other hand, Citi's core mobile app is ranked #14. In that adoption of the Apple Watch has been a bit slow, perhaps with higher usage of the watch, the Mobile Lite app will also see more use. Or the results may tell us that customers find a mobile app with no transactional ability to be only marginally useful. As one devoted Apple user quipped - I don't need to watch my bank balances every minute of the day. Both Apple Pay and Android Pay options have so far seen slow adoption (anti-fraud startup Trustev found that only 20% of those with the capability to use Apple Pay have tried it and only 2% use it regularly). According to Javelin Research this may simply be because it is only marginally more convenient than using a traditional payment method. Those who do use Apple Pay say they mostly do it because it is cool, not because it's secure or convenient. It is also interesting to note that they are primarily between the ages of 35 and 54. It's tricky business to figure out what is likely to go mainstream quickly. Mobile boarding passes in airports seem to have reached a broad level of acceptance, especially among business travelers. Mobile boarding passes are also significantly more convenient than printing a boarding pass, so maybe mobile banking features just need to find the right approach to really take off. In the end, community banks should continue to search for the right direction of mobile functionality to offer, using both the observation method and by asking for assistance from those in the know. Unlike driving on your family vacation, no one will question the validity of asking for help. All eyes are on Greece and the IMF after the weekend's referendum. 1) Providence Bank ($684mm, MO) will acquire Community First Bank ($211mm, IL) for an undisclosed sum. Bloomberg reports on research by Zurich Insurance Group that finds: 70% of employees say their colleagues have put sensitive information at risk by using mobile devices and only 20% say they have been trained on mobile device security. Research by Chase finds people say they have used a mobile banking app at the following: work (54%); restaurant (39%); waiting to check out at a store (38%); during coffee or smoking breaks (37%); commuting (28%); waiting to pick up a child from school (24%); on a date (17%) and during a client meeting (10%). Regulators are warning bankers to be aware of how the significant influx in nonmaturity deposits over the past few years could present a significant risk to liquidity and deposit mix when rates begin to rise. Bankers should expect ongoing and heightened regulatory scrutiny in this area over the next 12 to 18 months. A survey by the BLS finds in 2014 the average full time worker spent 8 hours and 11 minutes working and just a bit more sleeping (8 hours and 48 minutes). Wells Fargo says it is working on giving customers the option of using voice or face recognition biometric technology to authenticate themselves vs. using a password. The bank said it expects to make the option available "in the next year." Meridian Compensation Partners research of executive compensation finds most companies evaluate the relationship between pay and performance over a 3Y period (63%). This compares to 1Y (18%), 2Y (7%) and 5Y (15%). A PwC survey of global business executives on risk finds the Top 5 threats to business performance and growth are: regulatory complexity (77%); data security and privacy (74%); cost pressures (69%); government policy changes (69%) and talent availability (66%).